This story was originally published on the Recode on November 8, 2017. This fall, iPhone 8s and Xs are hitting shelves across North America, setting in motion that most time-honored of rituals — the smartphone funeral. 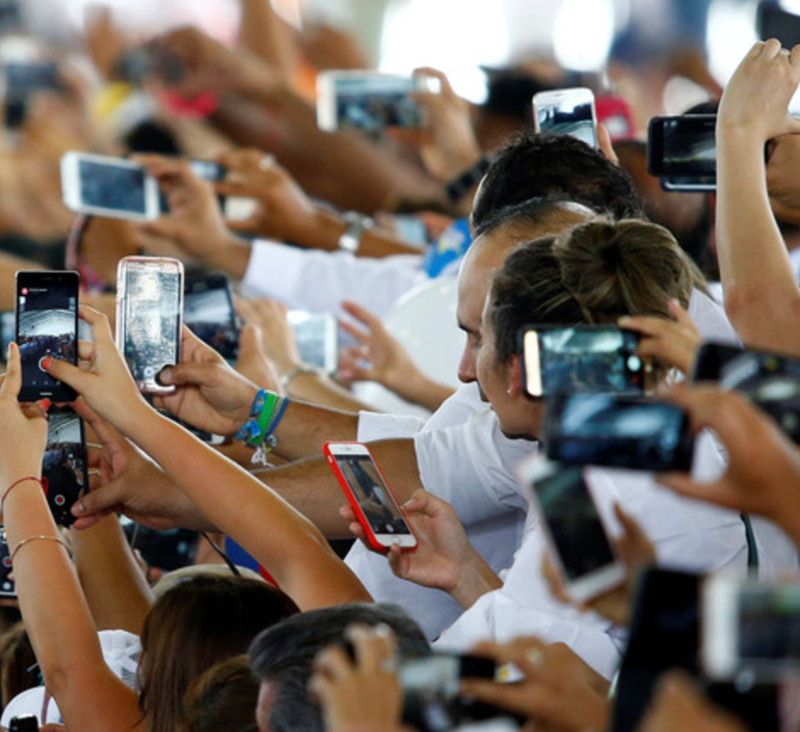 Around 1.5 billion phones are sold a year, which means about as many get the heave-ho. With little ceremony, we shove them into drawers or pack them away into boxes. Occasionally, we might just throw them away. We feel sheepish about it, and for good reason: Once trashed, they end up in landfills, leaching toxic chemicals into the soil. In fact, electronics account for up to 70 percent of landfills’ toxic waste. To avoid this guilt, we try to take our phones — not to mention all those broken printers, dead Fitbits, and cracked iPads — to recycling centers. Driving away after such a drop-off feels good: We did the responsible, eco-friendly thing. But what happens to these devices after we leave? The answer is complicated and, in most cases, far from eco-friendly. Welcome to the murky world of e-waste “recycling,” a.k.a. the sordid afterlife of your smartphone. Only when it’s cheaper for companies to reuse component parts — rather than manufacturing from scratch — will our old phones truly meet a better fate. If the electronics are past the point of no return, they’re sent to recycling plants and put through powerful, all-purpose shredders. Metal components are then shipped to one of a handful of registered smelters, where they’re melted down. A few precious metals from the circuit boards, including gold and palladium, are recovered from the molten liquid, but the vast majority of materials are left to burn, releasing chloride, mercury, and other vapors into the atmosphere. But smelting is still a “good” option, if only because the alternatives are far worse. For nearly every above-board recycler, there’s a corresponding organization that makes money by collecting e-waste, packing it into shipping containers and selling it through a shadowy network of middlemen to scrapyards in countries such as China, India, Ghana, and Pakistan. The environmental cost of such a transaction is high — but the human cost is higher. Walk the streets of e-graveyards like Agbobloshie in West Africa or similar sites in Asia or another part of the developing world, and you’ll see hundreds, if not thousands, of microentrepreneurs, essentially cooking printed circuit boards to extract the metals within. From experience, I can say that the smell in the air is dizzying, and sticks in your nostrils and throat for days. In the process, these workers are exposed to nickel, cadmium, and mercury, among other toxic fumes, which leak into the surrounding air, ground and drinking water. This can lead to a wide variety of serious, sometimes life-threatening health problems, including cancers and birth defects. Environmental and human costs aside, there’s another glaring problem with how we currently treat end-of-life electronics. When we toss our gadgets in the trash, the gold in the circuit board goes with them. 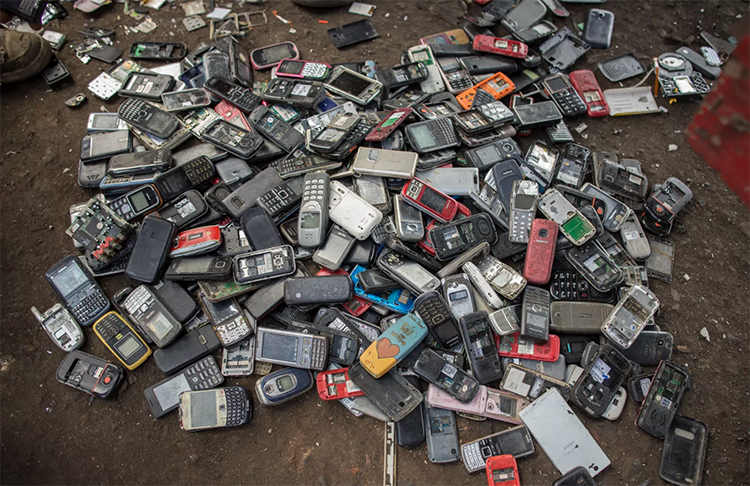 Though the amounts in any one phone are minute, the aggregate adds up: It’s estimated that the gold in the world’s e-waste equals as much as 11 percent of the total amount mined each year — literally millions of pounds of gold chucked in the garbage. In response to these concerns, some manufacturers and retailers are starting to take steps in the right direction. Apple, Samsung, Best Buy and Amazon incentivize consumers to return old devices in exchange for cash or gift cards. (Hand over a non-cracked iPhone 6, for example, and you’ll get $145.) Yet one of the big obstacles remains technology. The trace amounts of minerals inside a typical phone simply don’t justify the enormous expense of extraction. Our best hope lies in a much bigger shift in perspective: Having manufacturers design expressly with reusability in mind. This cradle-to-cradle approach to production is a cornerstone of the circular economy movement. Apple and other companies, for instance, have come under pressure to make screens, batteries and other components easier to replace and upgrade. “Fair trade phones,” with modular components, are still a novelty but gaining a foothold. A loftier goal: Smartphones that separate into component parts at the touch of a button, freeing up materials to re-enter the supply chain. The tipping point, as is often the case, will come down to economics. Only when it’s cheaper for companies to reuse component parts — rather than manufacturing from scratch—will our old phones truly meet a better fate. In the meantime, nearly 100 million pounds of toxic e-waste is generated each year. As a new wave of iPhones (not to mention Galaxies and Huaweis) floods the market, it’s time we found a way to let our old phones rest in peace, once and for all.